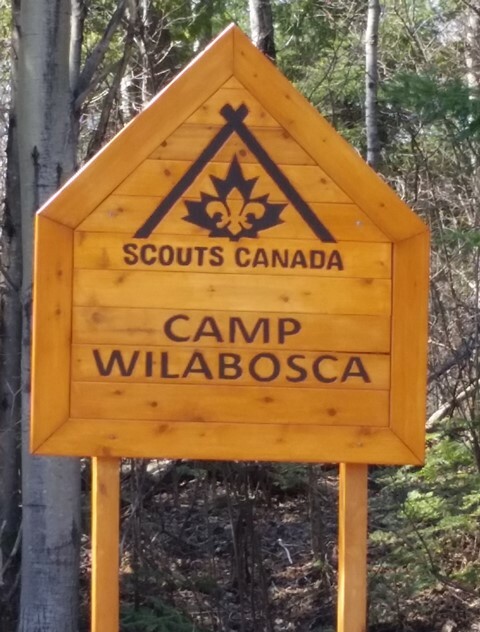 Camp Wilabosca is a year round camp on the shores of Windy Lake in the City of Greater Sudbury. The property is a well treed 18 acre site with 1820 feet of lake frontage including two sand beaches. It is not uncommon to see fox, rabbit, squirrel and partridge tracks in the winter. Vern Field Lodge constructed in 1984 measures 35 ft by 60 ft and serves as a general purpose/dining room, a kitchen, washrooms and mechanical room. The lodge has a propane furnace, range and hot water tank. There is an electric fridge and freezer, coffee machine and toaster. The kitchen has cooking and eating utensils to serve 50. Water is supplied by electric water pump complete with heat traced water line for winter use. The water system is treated with a UV system and is tested quarterly by the Camp manager and also annually by the Sudbury District Health Unit. There are 5 electrically heated sleeping cabins that combined can sleep 52. The lodge and one cabin have barrier free access and facilities. The Camp has seven canoes complete with paddles and safety kits. (supply your own PFDs) There are two safe sand beaches for swimming and a hiking trail to Windy Lake Provincial Park along the shore of Windy Lake. In winter, the area is perfect for snowshoeing, cross country skiing and ice fishing. Bring your own equipment. Local groups often make and sleep in Quinzhee Huts. Treated water is available in Vern Field Lodge year round. All buildings have electricity, the sleeping cabins are electrically heated (turn on the heat when you arrive and turn it off when you leave). Vern Field Lodge is heated all winter to maintain the water system. Located on a point of land on Windy Lake. There are two sandy, no demarcations, unsupervised beach areas. Two designated campfire areas, one in field and one on the point. Campsites have individual fire pits. Main lodge has flush toilet facilities including a barrier free washroom and there is one kybo located near the individual tenting sites. There is a land line on site in the main lodge and cell phone coverage (dependent on carrier). Located 42 km from downtown Sudbury, off Highway 144, 1. 3 km north of the Levack turn off, turn left onto Elk’s Club road, cross the tracks and turn left onto North Shore Road. At sign bear right and then turn right at gated entrance.